You may remember Consumer Reports as the outfit that has dinged Apple on more than a few occasions for what it deemed as poor design decisions for devices such as the iPhone 4 but even Samsung is not immune to its criticism. This time around it’s the turn of the company’s Galaxy S7 Active, Samsung’s supposedly ruggedized version of the flagship Galaxy S7 has fallen foul of Consumer Reports stringent testing, and while you might imagine that the issue may be something such as poor reception of bad screen quality, the actual issue is one that’s far more worrying. According to testing carried out, Samsung’s Galaxy S7 Active isn’t quite as waterproof as the company would like to claim. In fact, it’s not waterproof at all if this test is to be believed. 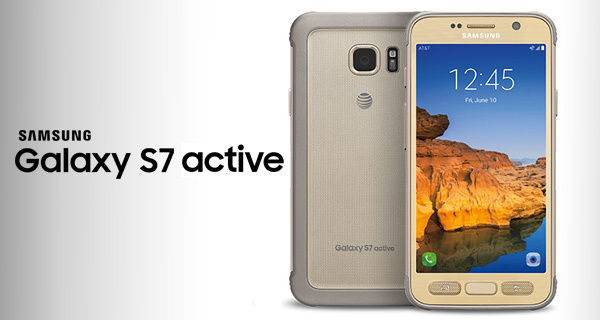 For those unfamiliar with the Galaxy S7 Active, it is “IP 68 certified” meaning that it is supposed to be capable of being submerged in liquid in up to five feet of water for 30 minutes. Customers pay an extra $100 on the price of a normal Galaxy S7 for the device that is designed to be more rugged than its easily broken brethren, but poor construction means that anyone getting their Galaxy S7 Active wet may be in for a spot of trouble. During tests carried out on two devices – after one failed, Consumer Reports tested another just to be sure – the Galaxy S7 Actives were submerged in water, however the “screen flashed green and other colors and didn’t respond to touch” during those tests, suggesting water was getting into the devices somewhere. Small bubbles appearing within the camera module suggested as much, with gaps between panels on the device’s body said to be the likely intrusion point for the liquid. The Galaxy S7 Active is also claimed to be capable of withstanding “drops of up to 5 feet on a flat surface,” though Consumer Reports did not get as far as testing that claim. Today is not a good day to be part of Samsung’s quality assurance team or indeed its hardware design team. really? s7 best phone out. also, it would be hilarious if you actually tried to debate this in person. I’m sure the next batch would be fixed. At least this source is from Consumer Reports and we know they are reputable, unlike some other YouTubers doing it for the views in the past on other “Gate” issues that went viral and cashed out. Htc10 is the better phone. its just really bad for samsung because the bad press carries over to their regular S7 line. majority of these potatoes have no perspective to distinguish these things. Typical Samsung garbage. Right Gina? To be honest, I think waterproofing is the least of my concerns of all. 5 Meters / 30mins isn’t deep or a long duration. So I would still be careful with any electronics with those specifications with large bodies of water. Just keep it out of water and have Samsung send out a recall (and you get a brand new one). so rekt had to copy paste to get through it. back to your cave. the antenna thing WAS a real defect. what do you mean? All cellular phones lose some reception if you purposely cover up the antenna areas. Since we’re all made of 70% water, covering up the phone drops the reception a couple decibels. The problem with the iPhone 4 was that the antenna was on the outside frame, which was very easy to cover with your hands. Now the problem was, AT&T at the time released LTE and was selling the 4 with LTE as a main feature, but the LTE service was really new. AT&T LTE was weak in certain regions where if you cover the Antenna, there’s a possibility of losing reception. Apple couldn’t outright say AT&T was the fault since they were partners, so instead, Apple took the PR hit. Improved the antenna design on later models for better LTE support. Thing was, I had a release date iPhone 4, and in my region there was no LTE, and 3G worked perfectly fine despite me purposely doing the AntennaGate hold. When LTE finally came to the area, there were no issues and it’s pretty much common practice to accept that LTE isn’t as strong of a signal. Anyway, that’s after a lot of reading through articles. The Media rode that one like crazy, and then the public, which knew absolutely nothing about the technical issue. Don’t even get me started on Bendgate. Confirmed, Consumer Reports is an American fraud website What a shame I think all this fake just propaganda. What do you think about the IP68 rating? You seriously are a fool (Consumer Reports). If the active fails IP68 the S7 will surly fail. When only 10 people buy an sure active it’s not really newsworthy as in most android releases nobody actually cares. I took my s7 on holiday and tried recording a video underwater. The video stops when submerged and the speaker doesn’t work very well until dried. Handset still works fine though. What’s better, an orange or banana? I have s7 my gf has SE and performance wise it’s pointless comparing. They are both very quick with no lag. The camera on the s7 is way better than iphones though. IIRC the antenna thing was real because the most logical way to hold the phone would mean that two of the antenna would end up being sort of ‘shot circuited’. Your skin conducts, thus as you hold the phone, those two antenna have introduced ‘noise’ and the signal level dropped. Solution was the crappy rubber bumper thing which insulated the antennas. Useless, because you can’t charge from a distants. Yeah, I don’t take any electronic device near water, nor do I plan to. And no, I won’t be mentioning any of the useless features. They seam to be about the same to me. With the big differences in software only.